Employees can quickly and reliably communicate with customers and other members when they are away from their desk or outside the office, which leads to improved customer satisfaction and work efficiency, at the same time. 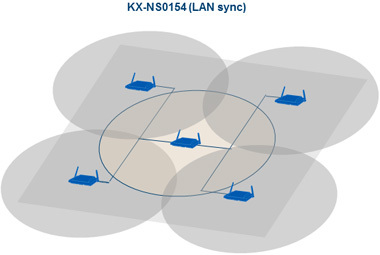 With a multi-zone wireless system, you can receive calls wherever you are on your premises. This reduces waiting times and enables customers to speak to the right person at the right time. You can also switch easily between desk phones and portable devices during conversations. 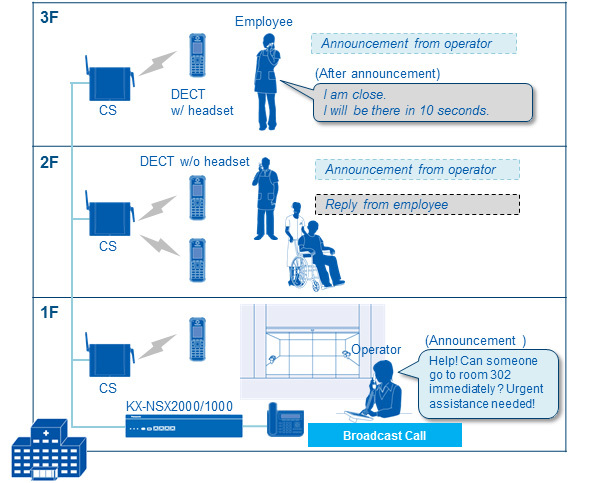 Finally, DECT paging allows conversations to be shared among multiple participants. When your customer calls your office phone number, both your phone at the office and your cellular phone can ring at the same time. You can receive customer calls both inside and outside the company. That way you only need to inform the customer of your office phone number.